Never mind our previous blog. We have received our first shipment of new 2016 crop pecan halves! These are Wichita Mammoth Halves, light in color and very pretty. And just in time for Thanksgiving. 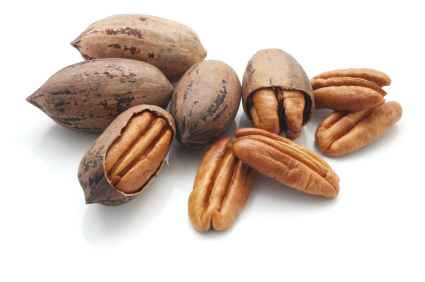 The pecan crop harvest usually begins each October on the east coast, mainly Georgia and South Carolina, followed by Louisiana and Texas as it moves into November. This year the east coast harvest was interrupted by Hurricane Matthew, which destroyed about a third of the crop. Mother Nature doesn't seem to cooperate with our Thanksgiving baking needs, as we don't expect new crop to be available until close to December first. We try to get beautiful new crop pecan halves as early as we can, but already one of our shellers has rejected a shipment of Mammoth Pawnee halves because the quality wasn't there. We will just have to be patient. But we are still receiving regular good-quality shipments from the current year's crop of Fancy Halves and Fancy Pieces, so we recommend just buying enough to cook with now. Well, you've come to the right place. 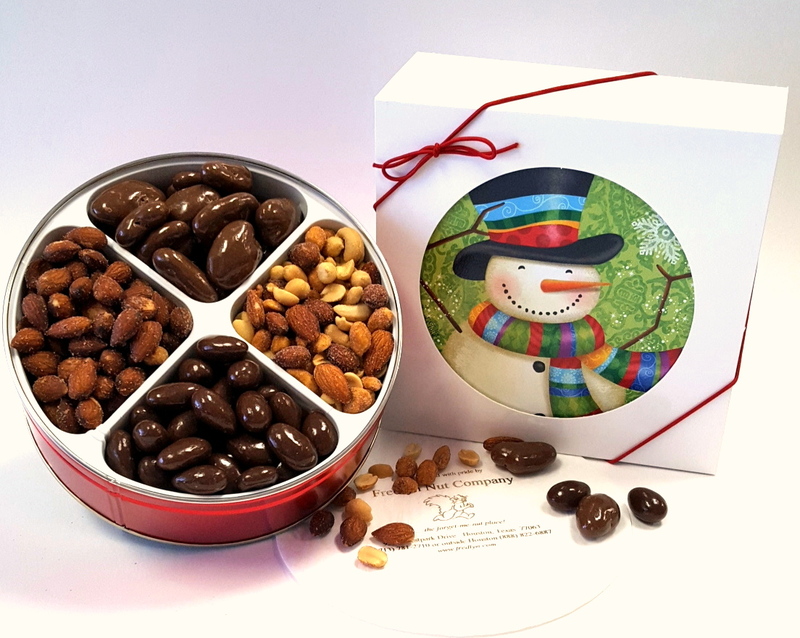 We have over 40 years of experience in the gift pack business, and many of our corporate customers have been with us since the beginning. We can print custom enclosure messages for you with your logo, or enclose business cards, and ship anywhere in the US. We are capable of shipping to addresses outside the US as well, just give us a call for details. 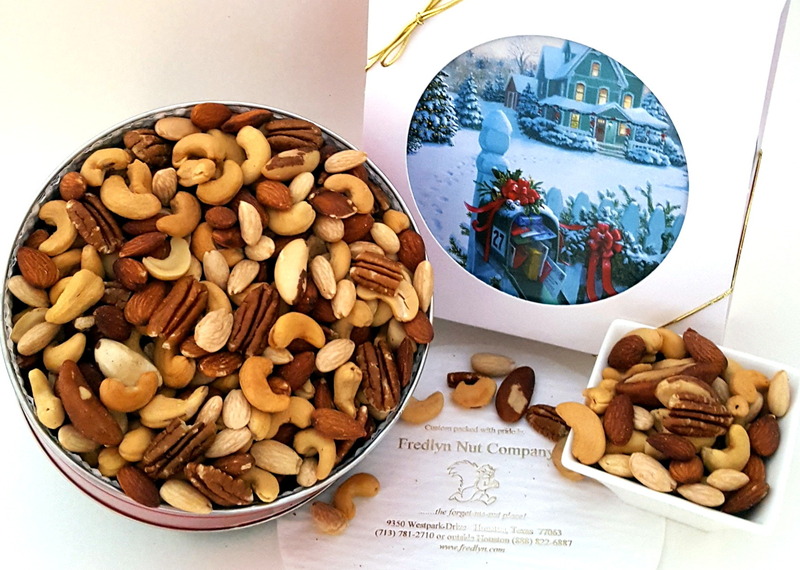 We are roasting fresh crop nuts for our Deluxe Mix Giftpacks, and have put our chocolates online this week now that it's cooling down here in the South, and we can ship without melting worries. Would you like a custom giftpack with the products of your choosing? No problem, just give us a call. We're here to work with you. Check out our selection here, or if you're in Houston, come by our shop on Westpark. We'll have gifts in many price ranges packed fresh and ready to go, and you can pick up a pound or two of your favorites goodies as well.